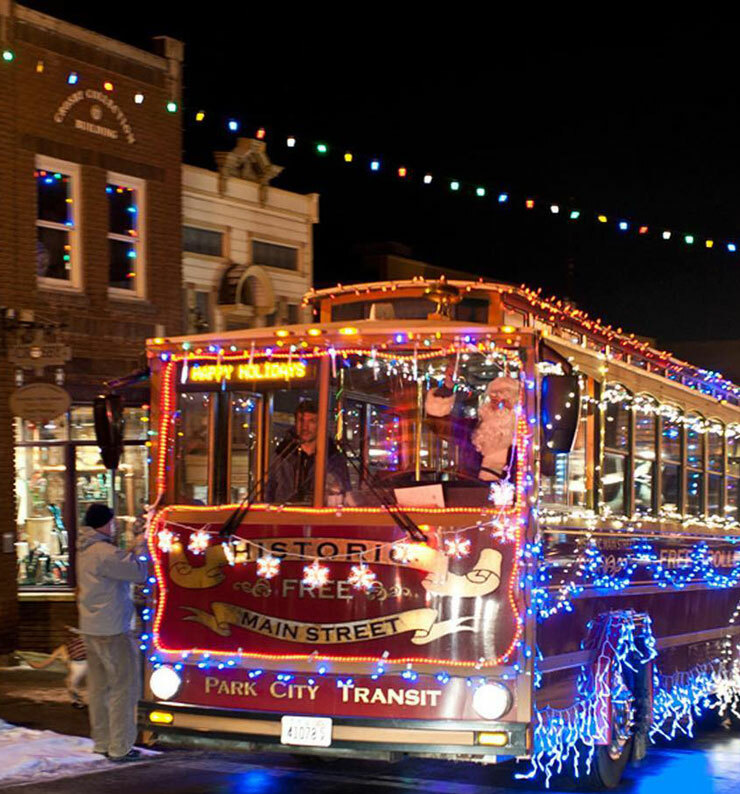 Park City is well known for being one of the nation’s most elite ski destinations. The resorts are plentiful, the snow is fresh, and the views are unlike any other. But the fun doesn’t stop when the lifts close. Many of the best ski days end with boots off, cold beer in hand, surrounded by friends, and enjoying the rich culture of the town you’re in. And in fact, the après ski culture in Park City is tantamount to the ski culture itself. 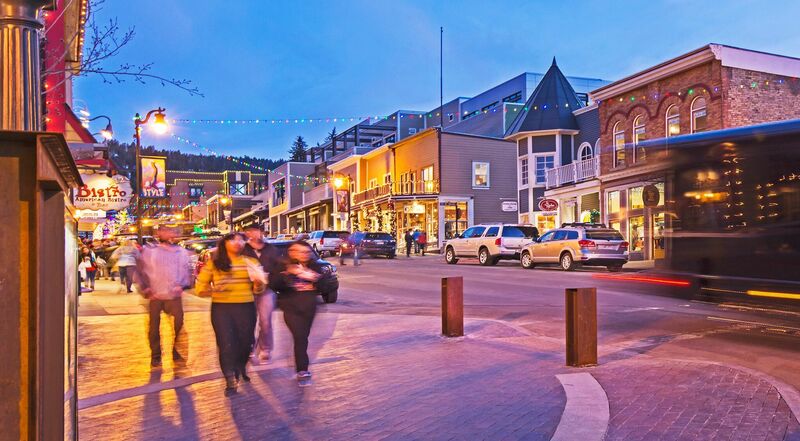 Main Street in Historic Park City is your one stop shop for anything you may want after a long day on the slopes. And while every day on Main Street is filled with plenty of activity, we’ve decided to highlight some of the best ways to help you finish off your ski days right. The Spur Bar and Grill is the perfect place to begin your weekday Après ski activities. They have a huge selection of drinks, and their cocktails are made with ALL local spirits. On top of that, they offer an awesome selection of bar food to refuel. However, whatever really sets The Spur apart is the live music every night, and the dancing that takes place with it. This is one stop you won’t want to miss. Now that your legs are exhausted, test your arms and aim with a game of darts at Flanagan’s. The traditional Irish pub has a basement where you can set your weekend off right, aptly named Flanagan’s Underground Club. The Club often has live music, trivia, and the occasional dart tournament. The traditional Irish food pairs well with just about anything in their full bar, so you won’t end the night hungry. You can bring the youngin’s if you’re planning to hang out upstairs, but if you want to visit the Underground Club, you’ll have to leave those under 21 at home. O’Shucks Bar & Grill is your classic bar, with games like Shuffleboard to keep you occupied. But the thing that truly sets O’shucks apart is that on Tuesday nights, they serve $3 Schooners. And let me tell you, these things are HUGE. And let’s not forget the free peanuts. If you prefer to spend your nights with a nice glass of wine in the coziest of settings, you can’t miss Old Town Cellars. OTC is owned by true mountain-towners, and lacks the pretentious air that you might find at many other wineries. They are home to “the official Après wine,” and make sure to keep things affordable and comfortable, which means you truly can’t miss this on your after-skiing outings. If you’re looking for some post-skiing margaritas, Crystal Park Cantina is the place for you. The traditional Mexican cuisine compliments their all-natural margarita mix (and house made simple syrups) perfectly. Whether you just want chips and salsa, or could use a full plate of tacos on your Wednesday evening, Crystal Park Cantina will leave you satisfied. Java Cow Coffee & Ice Cream is a great mid-week spot for the whole family! They use all natural ingredients, and their coffee is from Caffe Ibis, located in Logan, Utah. Their hot drinks and pastries are the perfect way to end a chilly day. On top of that, you’re sure to find some cow-related items in their gift shop that will leave you laughing. If you’re a fan of nightlife, you know Thursday is a night that cannot be skipped. Especially if you’re feeling thirsty. Check out No Name Saloon, which is well known for their year-round heated rooftop patio. After a long day on the slopes, it’s the perfect place to unwind and warm up, while still enjoying that crisp mountain air. The building No Name inhabits was built in 1905, and has a rich and varying history. 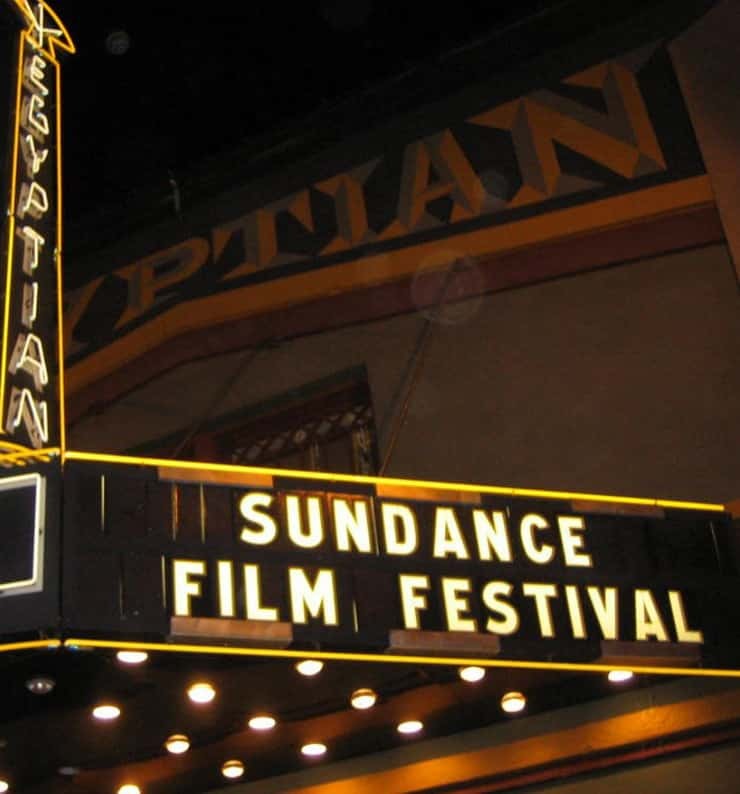 In fact, it’s on Utah’s Historic Landmark Registry. Try one of the many local craft beers on tap, and enjoy their ever-famous buffalo burger. There are 17 TV’s, so no need to worry about missing the game, whichever game that may be. The establishment is 21+, so the kiddos will have to sit this one out. For a family friendly way to unwind and defrost, stop by Atticus Coffee, Teahouse and Books, grab some hot chocolate, and pick a book to curl up with. While this might not sound like the absolute most thrilling way to spend your night, it is the ideal low-key way to re-energize for the ski day to come. The store is family owned and operated, and is dedicated to serving everyone a healthy snack and cozy retreat. They close at 5, so heading straight there from the resort is usually the best option. If you prefer more of a lounge experience after a day on the mountain, you’ll want to stop by O.P. Rockwell. O.P Rockwell describes themselves, accurately I might add, as a “relaxed and sophisticated cocktail lounge.” It’s got a classic speakeasy feel that will leave you feeling like you’ve stepped into the 1920’s. That’s not to say things can’t get lively, as they often do when they host live music. You can see any upcoming shows and events here. Another family-friendly option for some after-ski shenanigans is Wasatch Brew Pub. At Wasatch, the whole family can eat and the adults can indulge in some grown-up beverages. Wasatch’s claim to fame is that it was the first craft brewery in Utah, and actually one of the first in all of the U.S. The brewing process is made visible with large windows, which gives the space a somewhat industrial feel. It wouldn’t be a visit to Park City if you didn’t drop into The Cabin after spending all day in the snow. The Cabin, home of The Elkupine, is a no-frills bar with excellent service and drinks. They host live music every Friday and Saturday, and have a great selection of warm drinks to really help you celebrate weekend evenings after skiing. They have a small selection of munchies to tide you over as well. On a Saturday night, one place you absolutely have to check out is Downstairs. Downstairs is a bar, lounge, and performance space. They host musicians (lots of DJ’s) every Saturday, and you will spend your night dancing, dancing, dancing. There is usually a $5 to $10 charge for tickets, so check here before heading in. However, there are free Industry nights, so be sure to mark your calendars for those days! Collie’s Sports Bar & Grill is a great spot for sports lovers who don’t want to miss their Sunday night games. They have just about anything you could want on their menu, and their prices are some of the best you’ll find in town. And if you have a hankering for some fried pickles, theirs are the best. Butcher’s Chop House at the bottom of The Town Lift is open 4PM to Midnight EVERY day, which can be a hard find in Utah. There is a separate bar area with a huge menu of signature cocktails, and the food here is varying and delicious. You can bring the family and sit in the dining area, or hang out in the bar area for an adults-only evening.